Wheelabrator has a long history supplying and servicing fabric filters dating back to 1913. 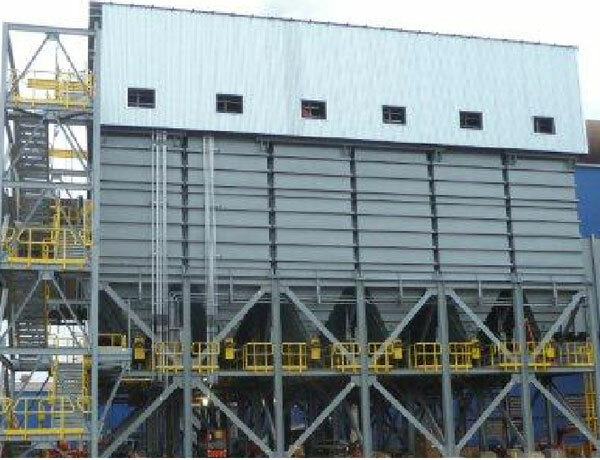 Our latest Wheelabrator Pulse Jet technology offers a variety of designs, both custom and pre-engineered, to meet specific needs. 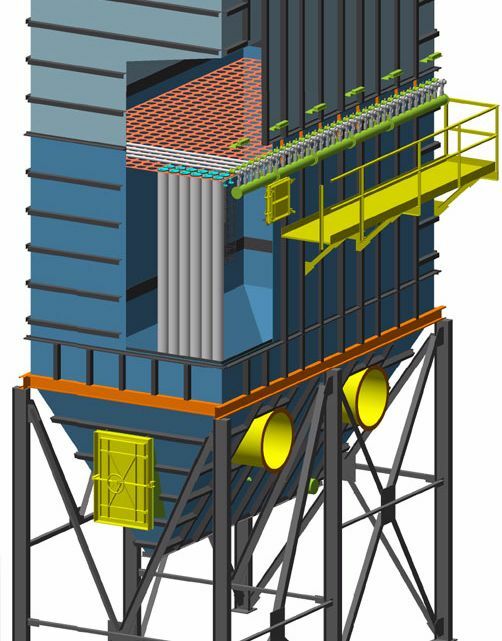 Each system is designed for cost effective, reliable performance. 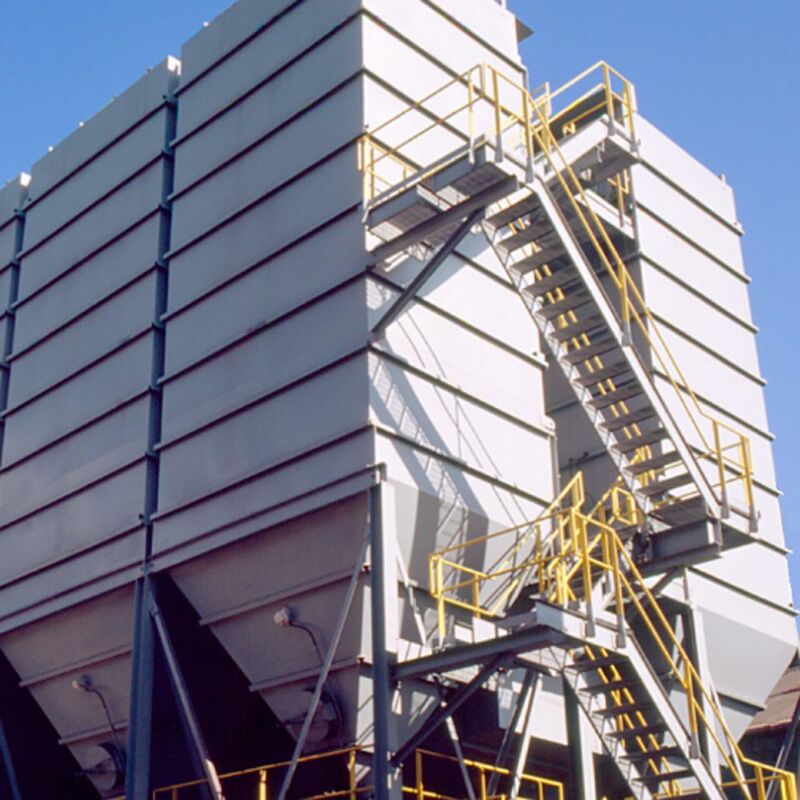 Our designs have been developed to clean emissions from industrial and utility processes ranging from 500 to over 3,500,000 ACFM. Our Jet VIP design offers the lowest bag cleaning frequency on the market. Dust laden air is pulled into the compartment under induced draft. 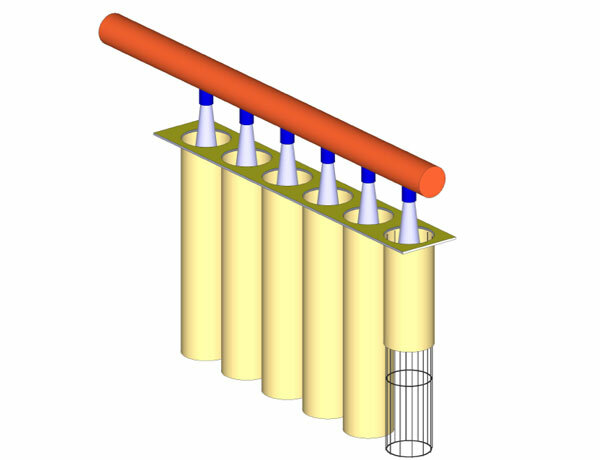 The air travels through our gas flow distribution baffle at the inlet of the compartment (full baffle not shown) to create a uniform flow distribution. The air is then pulled through the filter media, where dust is captured on the outer surface of the bags . Clean air passes through the filter to the clean air outlet. The bags are automatically cleaned with compressed air as the pressure drop across the tubesheet increases. 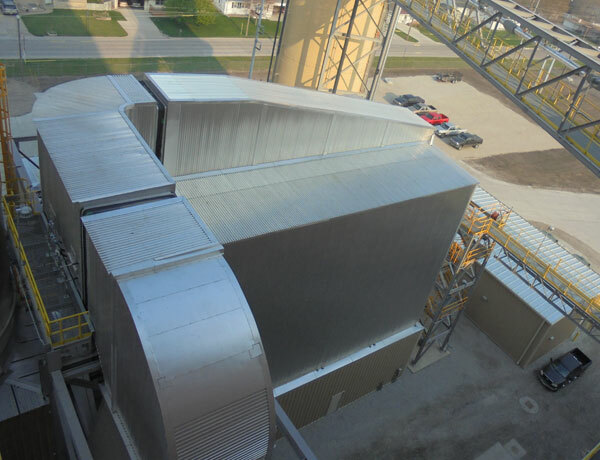 After cleaning the dust falls to the hopper below were it is mechanically or pneumatically conveyed depending on the process requirements. 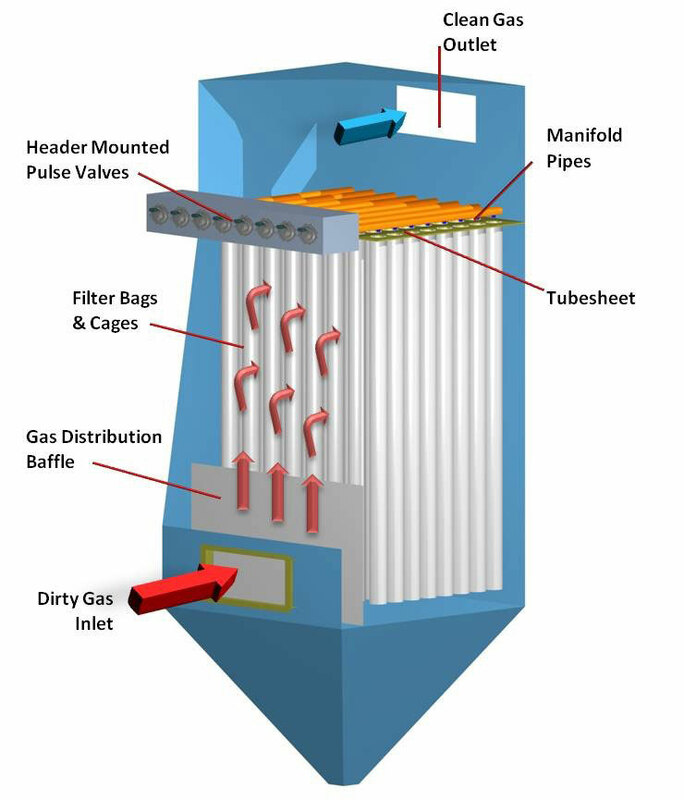 The cleaning system consists of a compressed air delivery system. 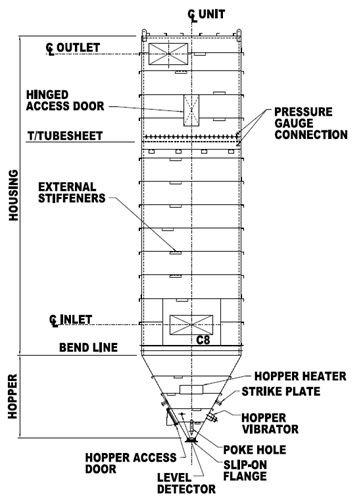 Air is pulse initiated if a high pressure drop across the baghouse is detected. 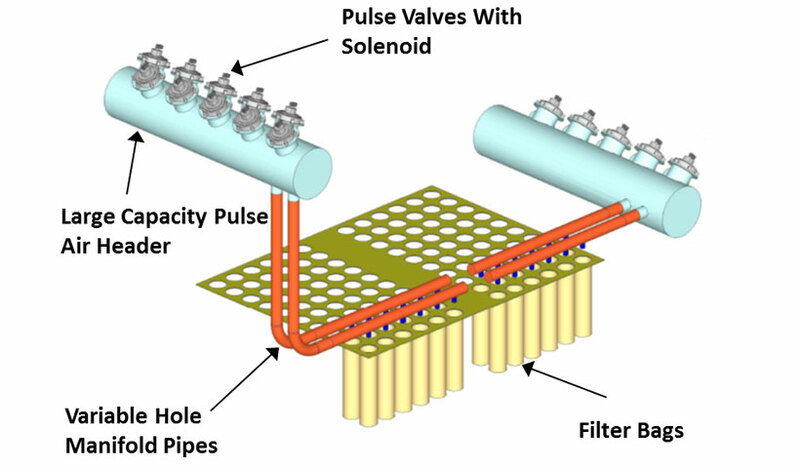 The air pulse is activated through a solenoid valve. The pulse system has a pressure flow characteristic to give maximum power in a minimum time frame. This stops air flow through the element and reverses the flow in order to dislodge the collected dust, effectively cleaning the bags while the compartment remains online. 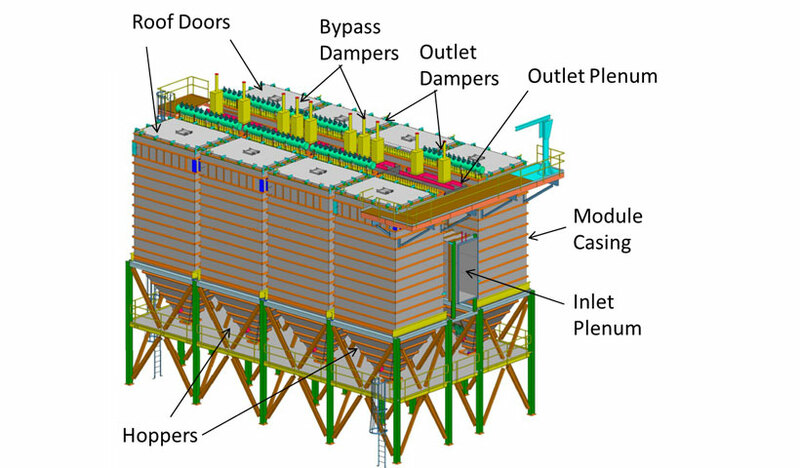 Modular, or Semi-Modular compartments can be combined into an integrated system with Inlet/Outlet Plenums, Dampers, Material Conveying, Instrumentation, and Controls. 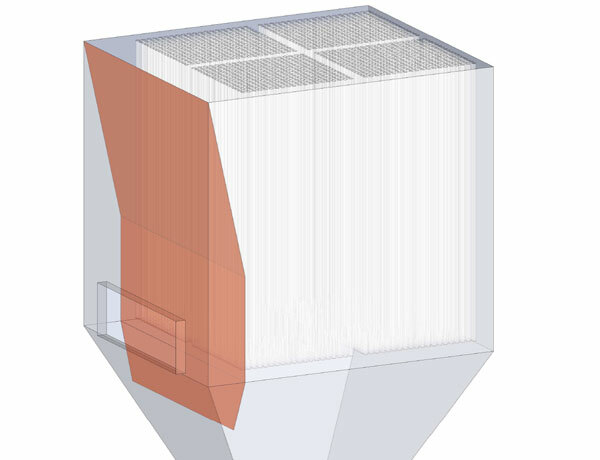 Specially designed inlet baffle reduces particulate load to the filters and creates a uniform air flow distribution throughout the unit. 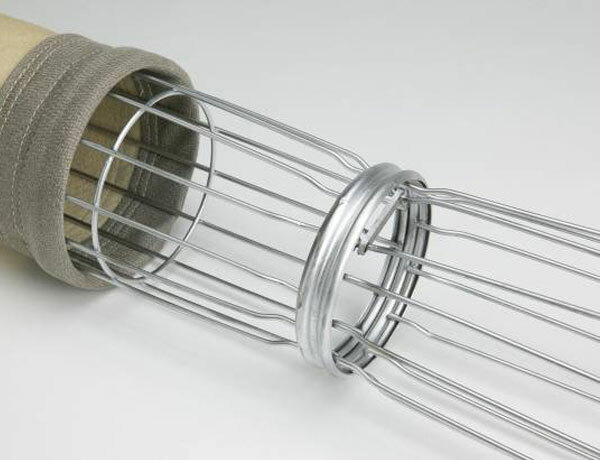 Stainless steal “snap-ring” is sewn into each bag forming a tight seal against the tubesheet and allowing easy, one step bagging. 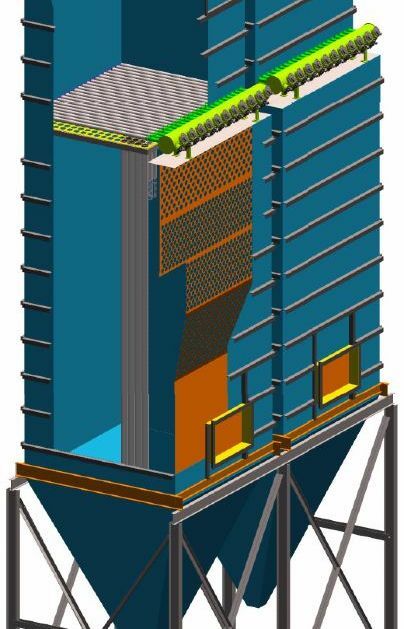 Pre-engineered modular compartments are available that can process up to 30,000 ACFM each and up to 100,000 for semi-modular designs (consult our applications engineer for sizing). Design pressure - +20 to -20 in. w.g. Cleaning system is provided with local differential gauge and pulse timer board. Cleaning is initiated by external control signal. 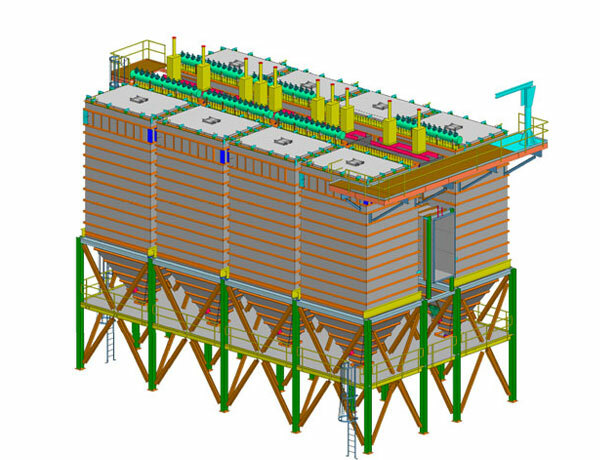 Mechanical, structural, and electrical drawings are provided.